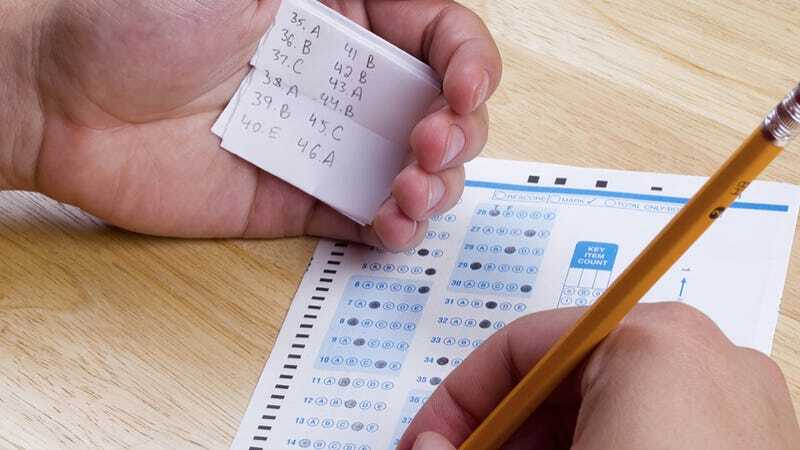 If you've cheated in school, you've probably scribbled test answers on an eraser, passed notes with a friend, glanced at your classmate's test or even made a cheat sheet. You never, however, cheated like this amazing student. He's taken cheating to an entirely different level: A 35-foot long cheat sheet with 25,000 answers. That's right. I'll repeat it for effect: A 35-foot long cheat sheet with 25,000 answers. Can you imagine the effort required in creating this magical cheat sheet? It probably has every answer to every question on every test about every subject ever known to man. It's so comprehensive that the school that caught him cheating should name him valedictorian and not punish him. Unfortunately, the world doesn't reward cunning evil geniuses like that.